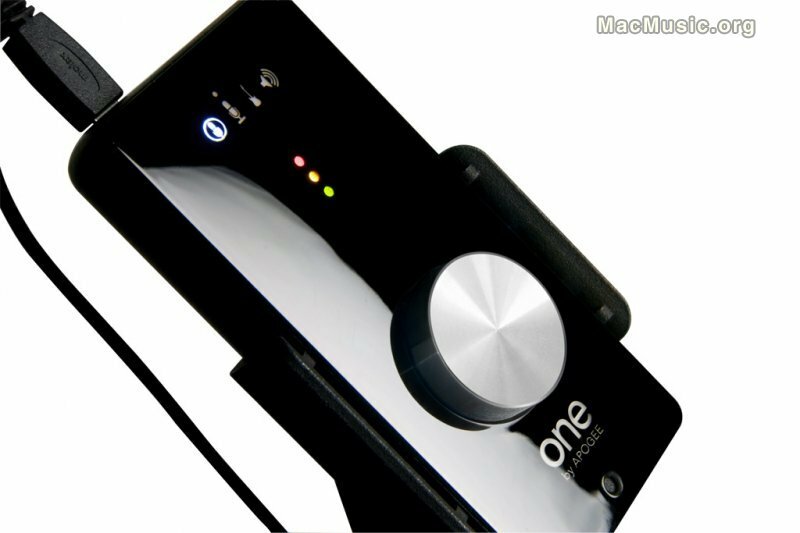 ONE is a single input, stereo output USB music interface designed to work seamlessly with Apple's iTunes, GarageBand, Logic, Final Cut or any Core Audio compliant application on a Mac. Unlike any product in its category, ONE features an internal reference condenser microphone, ideal for capturing inspired musical moments. ONE also includes a world-class microphone preamp, an instrument input for guitar, bass, and keyboards, and a studio-quality stereo output for headphones or powered monitors. "The success of Duet inspired us to provide Apogee's legendary sound quality to those in the market for an even more affordable entry point into the Apogee product line," says Betty Bennett, CEO of Apogee Electronics. "With ONE's low price and truly unique features like the specially-tuned internal microphone, professional recording is now available to anyone looking to make music on their Mac."